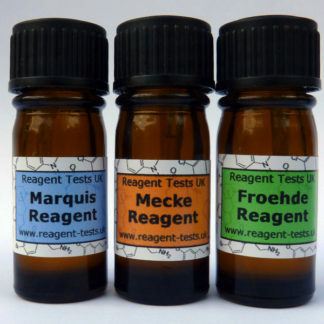 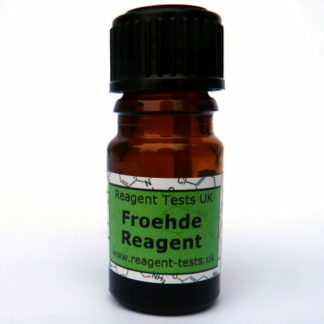 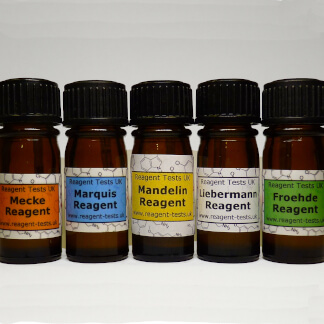 The froehde reagent is ideal as a secondary test and has a very long shelf life. 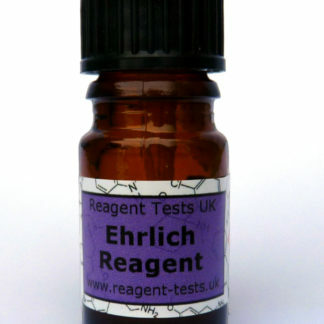 It will detect PMA and PMMA, giving a pale green reaction for either. 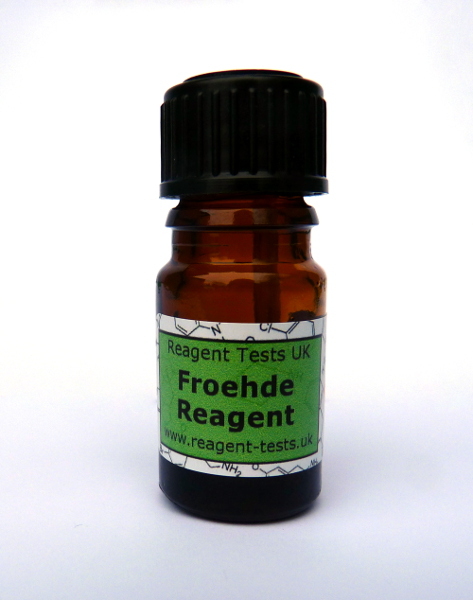 The froehde reagent will last over 12 months if stored in the fridge and about 12 months if kept outside the fridge in a cool, dark place. 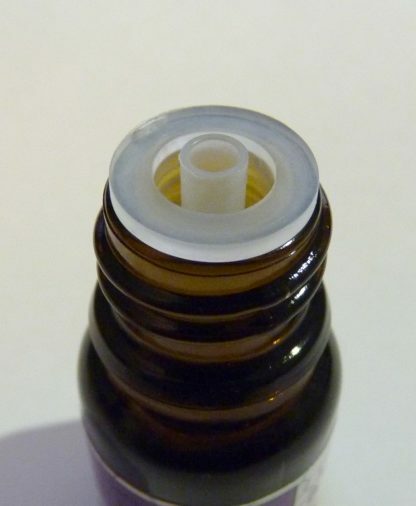 2 mL will give approximately 35 drops. One drop is required to perform one test. 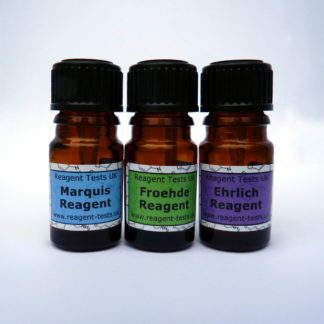 As with all reagent tests, the froehde reagent contains strong acid and should be handled with care. 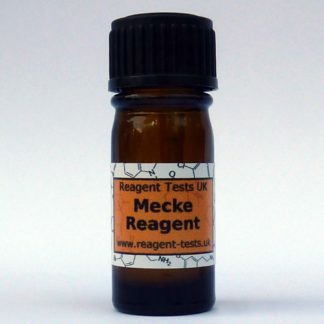 Includes reaction result guide for common compounds.